Is Microsoft About to Kill Off Internet Explorer? Rumor about Microsoft making some of the big changes to their internet explorer in Windows 10 has been for a long time and it is said that they are making Internet explorer “Spartan” feel and look like Firefox and Chrome. According to some insider and market sources, the truth seems to be that Microsoft is building a completely new browser, which now has been codenamed as Spartan. Earlier this month, Thomas Nigro, who is Microsoft Student Partner lead and developer of the modern version of VLC had already indicated about Microsoft building a new browser. According to him, he came to know about this through the talk, which was going on during the LiveTile Podcast December episode. However, according the sources Spartan is a light-weight and new browser and should not be considered as Inter explorer 12. Some of the sources also revealed that Windows 10 (the desktop version) is expected to have both IE 11 and Spartan. The IE 11 is expected to be given as backward-compatibility's sake. According to the sources both desktop and mobile (phone/tablet) versions of Windows 10 will have Spartan. 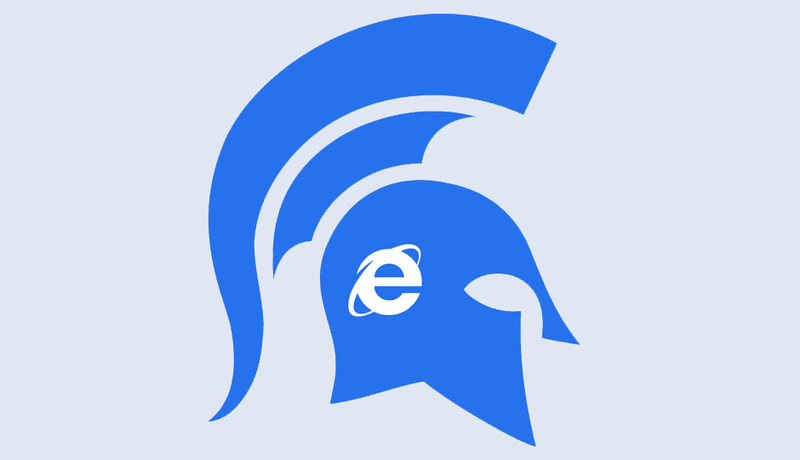 The codename for the browser has been given as Spartan but at the same time, there is no information about the name expected at the debut. The name has been changed so that the developers can make the users get information about the new browser being more standards-compliant IE and different from the older version of internet explorer. The company is planning to reveal the Spartan on 21st January, this is the time they are expected to reveal their next set of windows 10 features. However, sources also revealed that there is no surety if Spartan will be functional enough to be included in their Windows 10, January Technical Preview, and mobile preview builds. These builds are expected to be available for testing from early 2015. Therefore, we cannot expect the browser to show up in the test builds until later point of the year. At present no one of sure of Microsoft will be ready to port out Spartan to other systems like Android, iOS and/or any other non-Windows operating systems. But some of the people of IE team stated that the company doesn’t have any plan of porting out the new IE to any other non-windows operating systems. But as Spartan is not IE and Microsoft already porting out their software and services to others, there is a slight chance to get the new browser in other operating systems as well. The recent attack on Sony took the whole world by storm and no one expected such attack to happen on a corporate giant. 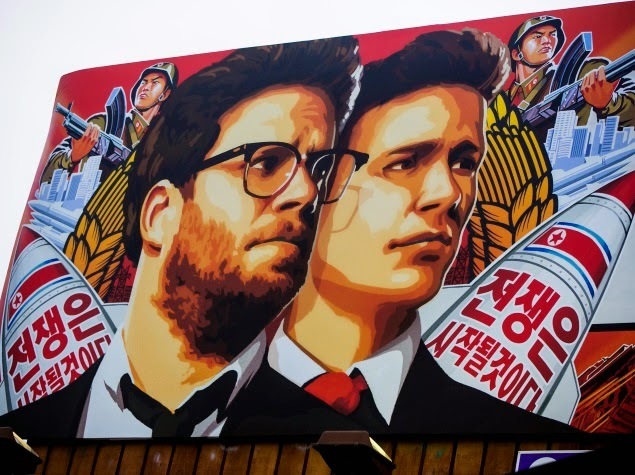 Looks like Google and Microsoft have come out in support of Sony and will be using their online power to release "The Interview" film to their online audiences despite of getting threats from hackers. According to the blog post by Google chief legal officer David Drummond, they were hoping for anything to happen but they wanted this movie to at last see the light of the day. He added that Sony and Google sat together for discussions on many issues and they agreed that they could not stop sit on sidelines due to some threats received and expected from people. They believe that a couple of people should not be the one to set a limit on the freedom of speech in any country. Sony started contacting Google and some of the other companies to look out for potential for "The Interview" and to make the same available for live streaming for the viewers on the internet. According to Brad Smith, Microsoft general counsel, “cyber-attack on anyone's rights is a cyber-attack on everyone's rights”. It is perfect time for all of us to come together and defend against these attacks. They stated that they have unanimously decided to stand together with Sony, as freedom of expression will always win over any cyber-terrorism. Using online stages as the platform will make Microsoft and Google a potential target for similar kind of attacks as that of Sony. "The Interview" was available in California from late Wednesday morning and available for rent in the high-definition streaming at Google Play, Microsoft's Xbox Video service, YouTube Movies, and at see theinterview.com website (Dedicated) for a price of $5.99. The digital copies of the film can be easily purchased for $14. According to Sony Entertainment chief executive Michael Lynton, it was important for their studio to release the movie especially after the recent assault on their employees and business by some people who are against the freedom of speech. He added that he is really grateful to Microsoft and Google for the kind of support they have given to their company. The movie, “The interview”, completely irritated North Korea by ridiculing Dictator Kim Jong-Un. Apart from this, just a day before December 25 limited theatrical release, the madcap comedy was made available to be taken on rent in the United States of America from 1800 GMT on many platforms. The future of the film was being considered to be in total doubt post the hacking attack on the company’s corporate network and threats against moviegoers. The company was actually expected to cancel the release of the movie post the attack. According to the reports, the United States government blamed the recent attack on North Korea as they were reported to be angry on the film's cartoonish portrayal of Kim's communist regime and also the threatened reprisals from President Barack Obama. Something of this magnitude can’t expected to have happened in past couple of years but now, according to a member of the Chaos Computer Club, which is a European hacker association (on the similar lines of Cult of the Dead Cow in the united states of America) it is possible. They have successfully shown that it is quite possible to clone or reproduce anyone’s fingerprints. This clone can be used to break into anyone’s system, which is protected by the biometric fingerprint scanners. They just need the photo of someone’s fingers. According to the club, they do not need any close up photos; any photos with the celebrity waving the hands even from a far distance will do the trick. 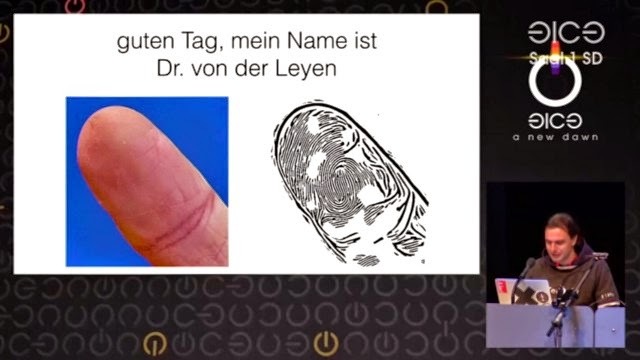 Considering this case, the CCC was able to get their hands on the fingerprint of Germany’s defense minister Ursula von der Leyen through a photo, which was taken during a press conference. This could easily be considered as a security breach if the German government uses biometric access control systems. The findings were presented by Jan “Starbug” Krissler, the hacker at the Chaos communication congress. He was able to recreate the thumbprint of the minister by using a photo of the minister, which was taken at the press conference, and some other photos, which have take the picture of her thumb from multiple angles. He used one of the commercially available software called Verifinger Software. Jan created a real world dummy by using this thumbprint. He started by printing it on a mask and then exposing the same to create a negative print on a substrate. Then he filled the negative with wood clue and created a new positive fingerprint. In case of testing, this technique can pose serious threat to Apple’s TouchID sensor and just in case the minister has Apple iphone then the company can seriously get her into trouble. By this, the company is hoping that the German government is not relying on fingerprints to control their military systems. With the digital fingerprint readers becoming very common now and it is being on laptops to high-end expensive smartphones. The biggest problem with fingerprints is that they can give false positive, negative and even multiple readings of the same print and give out different results. Even though fingerprints are the best means of identification, still security and forensic communities are looking forwards towards more techniques that are reliable. DNA sequencing is being considered a one of the best means of forensic identification, and vein matching and gait analysis are best options for control access. This technique is called living biometrics and as the name suggest it is only valid until the person is alive. This technique is already in use in Poland and Japan at some of their ATM’s. If you are among the people who are using fingerprints for access control, it might be a good time to switch over to something more reliable. All of us are aware about Apple and its humungous popularity. The craze Apple generates does not match up to the mania for any other electronic product. This brand has managed to revolutionise the way people thought about electronic goods. With the extreme user-friendliness to the high quality parts used to build the devices, Apple is a class apart. The Apple users are tremendously satisfied with the utility they have got from the Apple products. It is worth every penny you spend on it. Apple believes in maintaining a cordial and a constant relationship with its customer. It is not only a good business practice but also wins the loyalty of the customers. The customer service is excellent and in case of any defect found in the product, it is fully replaced without the customer having to face any unnecessary hassle. It is a rarity when a defect is found in Apple products because they are made with extreme care and caution. Be it iPads, iPhones, iPods or Mac books, Apple has managed to take technology to a new level. Each and every product is so user-friendly that as a customer you would never have to struggle to grasp the otherwise extremely advanced technology used in it. Apple maintains a yearly custom of selling Lucky Bags every New Year. The good news for all Apple lovers is that, Apple has announced the promotion of "Lucky Bags" for Japan. This announcement had been made on Friday. The terms and conditions associated with the Lucky Nags Promotion this year were posted to the retail website of Apple Japan. The festivities of revealing Apple's Lucky Bags will begin from January2, 2015. The Lucky Bags will be available to only those who visit the brick-and-mortar shops of Apple. This is not available to the online buyers of Apple products. Thus the ones who visit the stores can make huge profits. To manage the huge crowd that gather at stores when Apple products are released, many Apple stores in Japan will open 2 hours before the scheduled time. This change was observed by Kodawarisan, a Japanese blog. "Lucky Bags", when roughly translated to Japanese becomes Fukubukuro. This custom takes place yearly and various leading retailers as well as departmental stores make great sales of these bags which comprise of popular Apple products and some of them are filled with the really expensive ones. Buying these bags involve a certain amount of risk, as the customers are unaware of the contents of the bag, but it has been seen that generally, the price of the contents of the bag is almost equal to the price paid to buy the Lucky Bag. The pricing for the lucky Bags this year is yet to be announced. Last year, the bags were sold at 36,000 yen each. Some bags had special gifts like iPad Air, iPad mini (first generation) or the 11-inch MacBook Air. Since this offer is valid only in the brick-and-mortar stores, the stock is limited. Hence, every customer is allowed to purchase only one bag per day. The items in the bag are provisioned to be returned only if it found defective. Wait for January 2, 2015, 8 a.m. to get hold of your Lucky Bag! 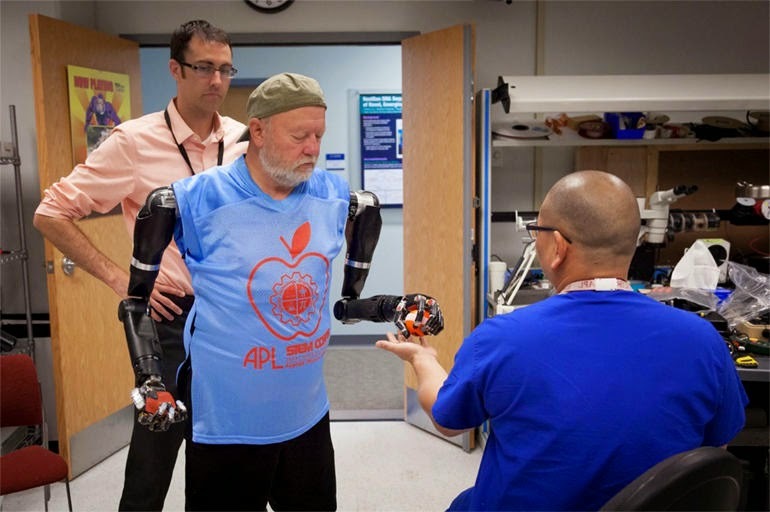 The researcher from Johns Hopkins have been able to successfully fit Colorado resident Les Baugh with two cutting edge bionic limbs, which are directly under the control of his brains. This addition makes Les Baugh as the latest face of bionic technology. This is being considered as an extreme evolution of modern prosthetics, apart from becoming a technology, which has captured the imaginations of millions by being cool and being equivalent mix of biology and technology. The images released by John Hopkins clearly depict a man fitted with Modular Prosthetic Limbs and overall concept of bionics, which has the ability to challenge the very concept of humanity. Irrespective of whether a person wants to move his arm made out of carbon fiber, or stem cells, everything starts at the same initial point. The first stage is force of the neural activity linked with a particular action, and once this pattern of action is recognized by a tiered network of either electrodes or neurons and sent out to the desired destination. In most of the cases of amputee, electrodes are required, but in the case of Lee, he still had some of the living tissues near and over his shoulders. The researchers used a technique called the targeted reinnervation, in which they let the brain of Lee to perform the recognition and propagation of signal by itself, then gathering the muscle orders in the shoulder. Here the researchers have transmitted the nerves onto an unused remainder of arm muscle. The main difference between this process and use of cranial electrodes is that Lee’s digital hop is only shoulder-to-arm, but in other cases, it is brain-to-arm. In his case, it is easy to read the motor signals once they have left his brain. Irrespective of whether the motor signals have been received in digital or chemical form, the purpose motivates either motor proteins in muscles or electric motors in bionic limbs, and therefore movement is accomplished. If the real arm of a person is numbed out, it is very difficult to differentiate between biological and bionic movements. The John Hopkins team has successfully illustrated that their MPLs are highly advanced apart from allowing the users to control both the arms and that too at the same time. Although the researcher always knew that this technology can be duplicated, but they were not sure if people would be able to accept the changes quickly. At present, Lee still has to select each specific joint that he wants to use, one by one. If he wants to grab any object, he first needs to move his shoulder towards that direction, then move his elbow, then wrist and last the fingers. For a person to be able to have a fully functional limb, they will first have to control many muscles at the same time and that too independently. The researchers have stated that they still have lot of work to do to further improve the MPL.